This is the curled up tip of a large/giant fern, which is the approximate size of your fist. I have been seeing many of these on my visit to New Zealand again, this being my first time to go in their spring time. Every time I look at these “heads,” I am constantly amazed at the intricate detail of the fern leaves that will grow to their much larger size as the stem uncurls over time. They all look like wondrous works of art – with tiny nautilus shapes! A friend asked me, as he was wondering, whether these unfurled fern heads are edible, similar to the MUCH smaller fiddleheads that are harvested in parts of Canada during our spring time and are considered a tasty dish. My kiwi friend explained that yes indeed, these giant-sized fernheads can be steamed and eaten. 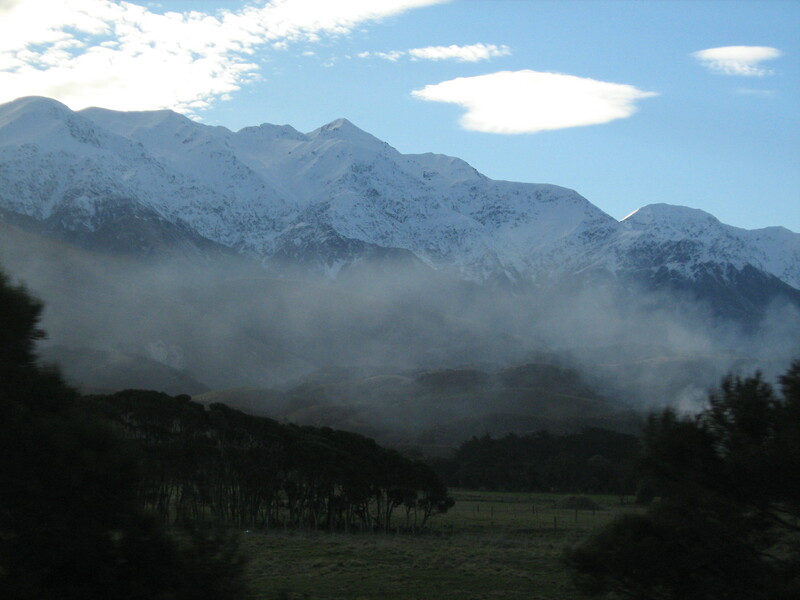 On my trip in July of 2007 to the South Island of New Zealand – on the occasion of my girlfriend’s wedding – her daughter, Emily, and I took off one free afternoon to go on a mini-excursion. We came upon this nifty looking, wooden Maori carving – quite TALL – which is located at the Karaka Point Historic Reserve (a short drive outside of Picton). This look-out point offers up a spectacular view of part of the Marlborough Sounds area. The following sequence of photos gives you a somewhat panoramic glimpse into these beautiful sounds. The clouds and waves that day created a bit of dramatic ambiance. I looked up some added information for you. There are grassy areas where one can walk about and enjoy the views. I imagined what it would be like to walk all the way to the end of that huge outcropping. And finally, included is the sign as well. This is a high view of some of the Nelson Lakes National Park area on the South Island of New Zealand. My friends and I went hiking there on a day trip during my visit in 2007. 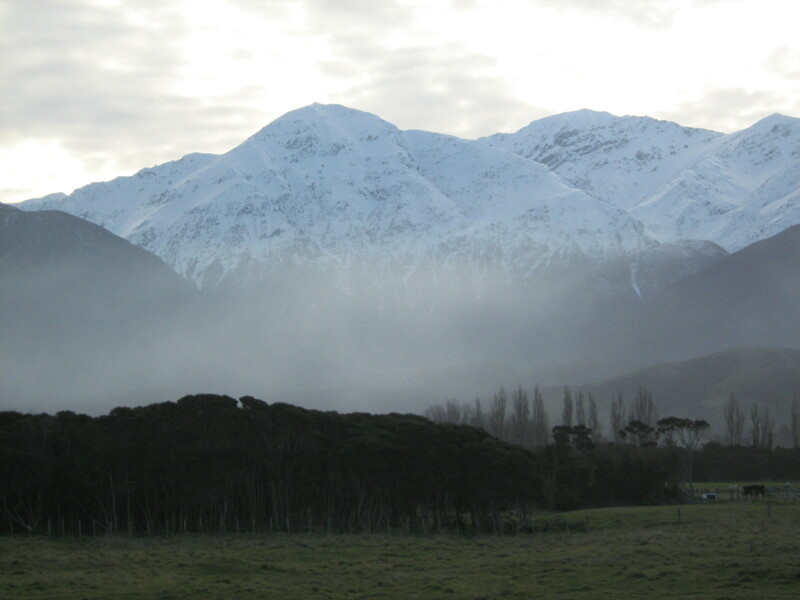 I haven’t quite figured it out yet, but something about New Zealand always calls to me.